From the rituals they lead to open camp on the first night until the moment they say teary farewells to their final summers, summer camp plays as significant a role in older campers’ lives as they play in carrying on its traditions. There are a lot of camp articles that sing the praises of summer camp for young children, but few focus on the value of the camp experience for young teens. 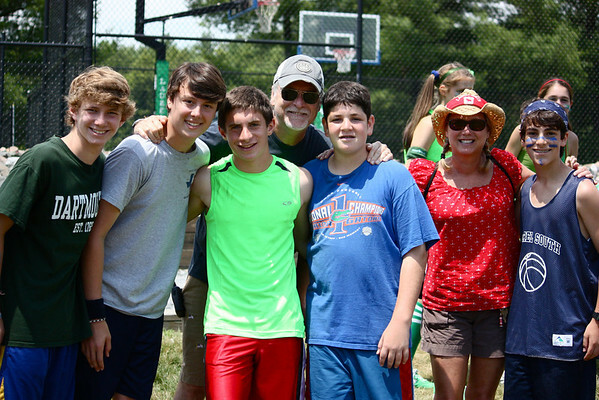 By the time many campers reach their teens, they already have several camp summers behind them. For them, it’s not really about newness anymore, but reliability and tradition: who is at camp, what is at camp, camp rites to which they’ve looked forward since they were young. In a period of child’s life that can be a roller coaster full of ups and downs that come at full speed, summer camp is oasis of stability. It’s solid ground, a safe place where teenagers go to be themselves and to let loose of the stress and strain that are inextricably part of the teenage years. At summer camp, teenagers can still be young while getting a taste of what it means to be grown up. They connect with a small group of people with whom they’ve shared experiences since they were very young and with whom they continue to share experiences. They not only share experiences, they share memories that only a select group of others shares. Both give older campers a distinct sense of belonging. Regardless of who or what they are to their school peers the other ten months of the year, camp is a circle of inclusion that often extends far beyond the camp years. Older campers also benefit from privileges that come from being older. They’re tapped to lead camp activities, given leadership roles on teams of younger campers, and charged with being examples in honoring camp traditions. In short, older campers “train” younger campers how to be good campers. For many of them, being a role model and a mentor is one of the best aspects of camp. 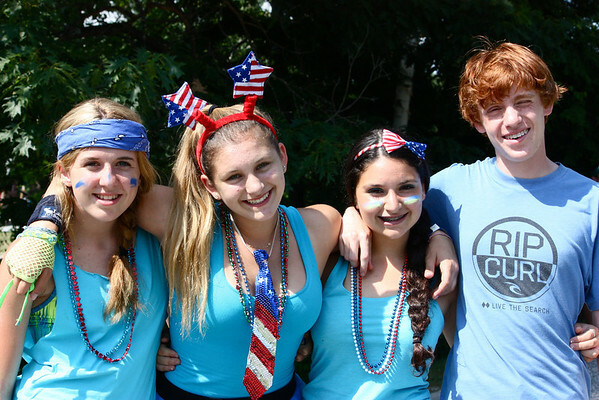 The pride in having played a role in a younger camper’s life is what brings many former campers back to camp in their adult years to work as counselors. Beyond rituals and traditions, there is also the encouragement that many older campers get from staff members in pursuing college and career goals, be it allowing them to sample career life through Apprentice type tasks, giving them the opportunity to write an essay for the camp blog, giving them a camera and letting them take photos for the camp website, helping them write a college essay or work through a summer reading assignment, or just talking to them about what life as a teacher or a coach is like. By the time campers reach their teenage years, they’ve learned to appreciate what staff members bring to the table and are eager to learn and listen. Ask any former camper to name a camp staff member who had a special impact on their lives, and within seconds they’ll share the story of a beloved counselor or staff member who taught them something about life that they still practice today. Although many bonds form when campers are young, some of the most special form when they’re older. Sometimes something as simple as a team building exercise helps teenage campers realize that they have more in common with a fellow camper than they thought they did. At an age when it’s all too easy to feel isolated, being able everyday to realize life as a valuable part of a whole translates into some of the most special memories of a camp career. 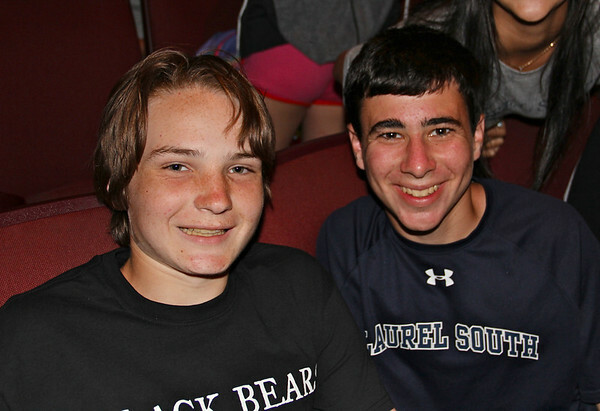 Camp is more than just a summer away from home hanging with friends. It’s a learning experience, and some of the most valuable lessons are learned in the midst of teenage fun at summer camp. This entry was posted in Uncategorized and tagged American summer camps, benefits of summer camp for teenagers, camp laurel south, camp rituals, camp traditions, sleepaway camp, summer camp activities for teenagers, summer camp programs for teenagers, value of summer camp to teenagers on April 4, 2013 by Camp Laurel South.